Never make the wrong hiring decision again. Know how to hire and manage your staff to success. Spending a lot of time and effort hiring staff and not getting the result you expected? So desperate to fill positions that you just hire the first person who walks through the door? Offering more money and better conditions in an attempt to get better staff? Employing someone who works out to be really good but leaves soon afterwards? Open and corporate training and coaching sessions in how to recruit performers and how to evaluate their performance. The Performia © EXEC U test – the worldwide standard in testing performers. The test measures how well the candidate’s BE DO HAVE are in harmony. 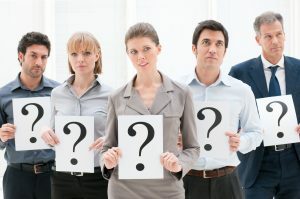 Via an on-line questionnaire you can see the results of 10 personality traits important in evaluating if the person is suitable or not for a specific position and if he is a performer. The test is very precise and used worldwide. Training (on-line or of line) in how to use the test in case you want to evaluate recruit yourself. A complete software solution for recruitment to performance appraisal. A General Manager and/or HR department which is more certain in recruitment. The recruitment and performance appraisal training is done either in open form or in corporate form. the 4 classes of staff (performer, doer, the potential trouble source and the suppressive person). How to evaluate via results. The full Performia© System Training for managers and HR is done either in Sweden or on-line . Techniques to attract results-driven candidates. Tools to precisely and quickly spot the best candidates. Prediction on how the candidates will operate and perform in your business. Knowledge on how groups operate and why production may not be so high and the exact steps to increase it. Knowledge on how to best train and manage your staff. The open training takes 1 day from 10 to 18:00. The duration of the full Performia System Evaluation Training varies between 5 to 14 days, depending on the modules the manager wants to take. The open training is done in our premises. Coaching sessions are done in the premises of the company. The full training in the system is done on-line and in Sweden. The test is filled in in the office of the company, the evaluation can be done either on-line or face-to-face.